Do not go here. UCR is often called UC Rejects because most people don't come here out of choice. They are rejected by all other UCs and think at least UCR is better than a Cal State. Wrong! Riverside community college is better than UCR. This school is a dumb. Academics- the professors aren't there to motivate your or themselves. They are most pre-meds you couldn't get into med school, failed at everything else, and figured hey I'll just get a PhD and be a professor to ruin others. They don't care about you or your education. Of course there are a few, but they often leave for better opportunities. You'll graduate in 4 years by divine intervention. Most students in the sciences are here for 5 plus years, most likely 7 or so. Those who ever do get into med school get into Ross or one of those major back ups. Do you really want to do that? Advising is a joke. They don't care and will never care. Students to them are just money making machines, nothing more. If you are willing to go in debt for education, go to a better college. If you can't get into any UCs, try Cal States. Students have a better chance in life graduating from anywhere else that's not UCR. Graduate school is just as bad. Students graduating in 10 years (ideally it should take 5 years) with PhDs can't find jobs because of the UCR name. Students with PhDs get two-three part time jobs at low paying jobs. The area is unsafe. It is riddled with robbery, rapes, assaults, etc. No one lives in the Inland Empire by choice, no one goes to UCR by choice. Either they didn't get anywhere or didn't know any better. Take the negative reviews seriously. This school, especially for sciences, isn't worth it. The WORST part of all of this is their humanities is actually good and ranked well. Unfortunately the school thinks its UCLA or USC and wants to compete in the sciences, which is worthless. Word of major ADVICE: If you can't get in anywhere else, go to a community college. Work hard, volunteer, get experience, get a job, anything to build your resume/cv. Transfer to anywhere except UCR and chances are you'll do great in your life in less time than any of the professors at the university combined. I had to work VERY HARD to get this school's name off my records. I got multiple degrees from well-ranked universities after this school so UCR no longer holds me back. And no, I didn't get into any good school based on being at UCR. This school is ranked low and will get you no where. I took classes, paying for them out of my pocket, as a non-degree student to show the other schools I'm worth it. Then only did I get accepted, despite having perfect grades at UCR. DO NOT GO HERE!!! You graduated in 2000. UCR has improved drastically in the last 12 years. Stop bashing on a school if your experiences are no longer valid - the culture and rankings have changed entirely in the last decade. Didn't go to UCR and don't know much about the school, but one point I want to clarify. College professors are not medical school rejects. Many of the professors at the UC's went to elite PhD programs, which are much harder to get into than medical school. Lol, so Medical school is hard but PhD's are easy? Your information is way out of date. 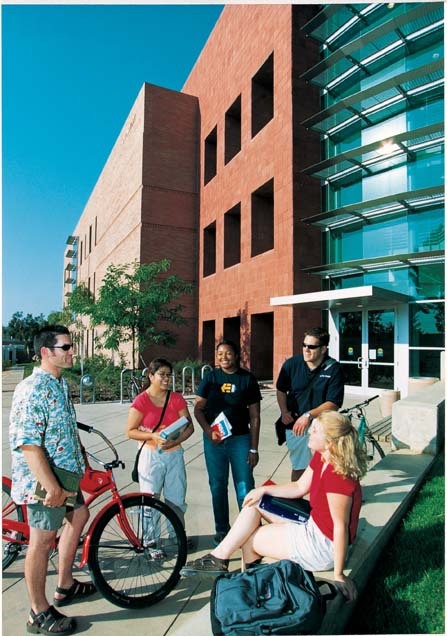 UCR is a campus of choice and students are excited about coming here. Sorry you had a bad experience. Maybe you should have gone to a community college. I agree with this review. The other UCs are actually renowned (except for UC Merced because it barely opened around 2005), unlike UCR. No one has UCR as their first choice or even their top 3 choices unless maybe their parents went there and the parents told their kids how great UCR is. Some alumni said that UCR is great only because they went there. Didn't go to UCR either (although I was offered admission). But I will say this. In many fields (business, engineering, law, etc. ), the reputation of your university matters more than we like to admit. Big companies will likely recruit from big name schools. I've seen this many times. College professors are not medical school rejects. - TRUE "Many of the professors at the UC's went to elite PhD programs, which are much harder to get into than medical school." - I'M NOT SURE ABOUT THIS PART OF THE STATEMENT.